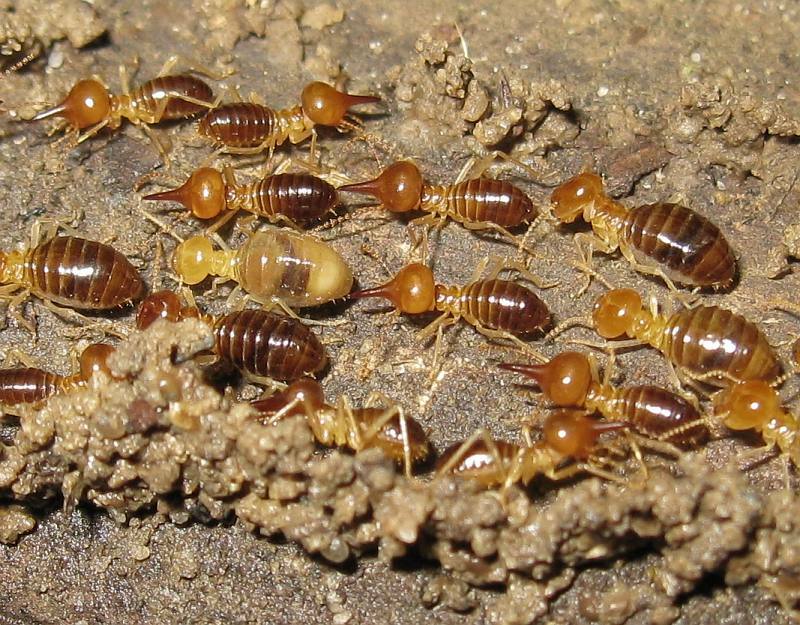 Colony of Nasutitermes luzonicus, copyright Choon Huat Quah. Nasutitermes is a pantropical genus of nasute termites. Characters (from Syaukani & Thompson 2011): Soldier caste generally monomorphic, rarely dimorphic; head capsule variable in size and shape, without constriction behind antennal sockets; rostrum conical to cylindrical; antenna 11–14-segmented; pronotum saddle-shaped; legs relatively short; abdomen elongate. [GC54] Grassé, P.-P., & C. Noirot. 1954. Apicotermes arquieri (Isoptère): ses constructions, sa biologie. Considérations générales sur la sous-famille des Apicotermitinae nov. Annales des Sciences Naturelles—Zoologie et Biologie Animale, ser. 11, 16: 345–388. Syaukani & G. J. Thompson 2011. Taxonomic notes on Nasutitermes and Bulbitermes (Termitidae, Nasutitermitinae) from the Sunda region of southeast Asia based on morphological and molecular characters. ZooKeys 148: 135–160.